Palma de Mallorca is the elegant capital of “Majorca” and the largest city in the Balearic Islands. The island of Mallorca is more similar to a continent than an island, for its range of landscapes and wildlife. The Balearics, located in the western Mediterranean have a fascinating history. They were important centers for trade, beginning with the Phoenicians. Greeks later traveled to Mallorca but didn’t leave as big a mark there as they did on the Peninsula, particularly in Catalonia (Empuries is an important Greco-Roman site for example). The Romans colonized the “Balears” (as they are known in “Mallorquin”, the local dialect of Catalan) in the year 123 AD and they stayed for almost five centuries! This was a golden period, with many public and private buildings erected, gardens planted, poets nurtured. The Vandals destroyed this period of peace and were responsible for obliterating most of what the Romans had left behind. Later (as in most of the Mediterranean’s islands and cities) came the Byzantines, Normans and even Berbers. However, it was the Moors who made the greatest positive impact on Mallorca. The Moors (Arab travelers who had journeyed west through North Africa and north into Spain, becoming a new ethnic group, mixed with Berbers and tribes people), are credited by many historians for essentially “civilizing” Mallorca. They brought with them irrigation systems, which boosted the island’s prosperity. The Moors stayed in power until the island was finally conquered by the King of Aragon, James I, in 1229. The construction of Palma’s magnificent Cathedral was begun less than a century later and took 500 years to finish! Other Europeans, such as the British and the French, arrived in Mallorca in the 18th century, also leaving their mark on the gastronomy and architecture of the island. Finally, the 1950s was the period when Mallorca began a massive tourism boom that has not stopped growing to this day. 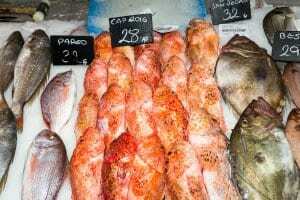 Mallorca is an extremely interesting place to visit and is having a gastronomic and cultural Renaissance at the moment. For years this beautiful place suffered under the hands of greedy developers, and Mallorca seemed to be headed towards the disastrous fate of other mass tourism disasters like Benidorm on the Costa Blanca. The last few years have seen a notable move from mass tourism to boutique upmarket tourism, with many stylish and elegant hotels being designed, and better restaurants than ever. Palma de Mallorca is an absolute treat for the gourmet traveler, full of charming eateries, from rustic and cozy to Michelin starred and creative. Basque chef Koldo Royo and British chef Marc Fosh are two of the superstars on the island, both have Michelin “Estrellas” under their belts. Wines like “Anima Negra” and “Finca Son Bordils” are finding themselves on the lips of the world’s most renowned wine critics. For art and architecture, Palma is fantastic- full of galleries and small art museums, not to mention some of the most beautiful palaces and churches in Spain. Palma de Mallorca is better than ever, so if you haven’t been, put it on the list! Cellar Tours offer VIP cooking classes and wine vacations in Mallorca, contact us today for more information.